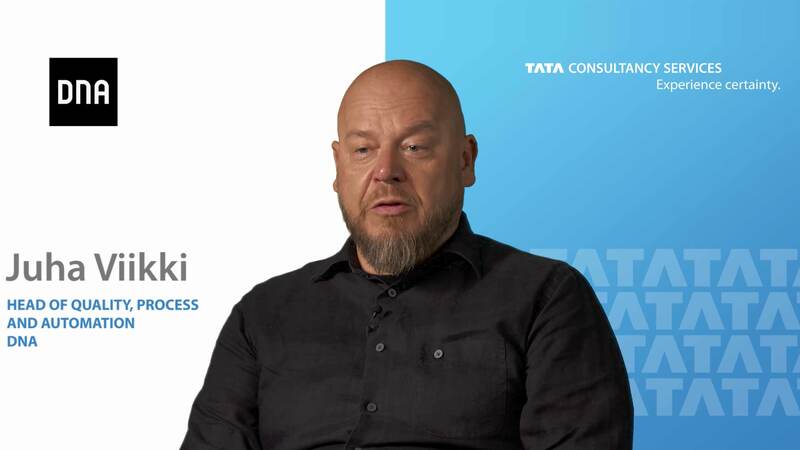 Juha Viikki , Head of Quality Processes and Automation, DNA IT and Dominique Akl, Head of Corporate Service Delivery talk about TCS’ involvement in DNA’s RPA journey since inception and the various measurable benefits the program has delivered. RPA in DNA - TCS and DNA had jointly decided Robotic Process Automation and the program has been delivering quick quantifiable business benefits. Since the project started in 2017, over 12 software robots have been deployed; one of them is Marvin who tackles the order to activation process for mobile family products in the corporate side and helps reduce the amount of reclamations they get related to customer invoices. Marvin is accurate and up to three hundred percent more efficient.